Having a storage area that can accommodate all the collectibles in your bedroom is a challenge. However, did you ever consider the use of the bottom or under your bed? First of all, if you want safely hidden from the eyes, choose a bed that has storage or built-in cabinets in it. Additional beds are ideal for small house. In addition, this kind of bed is also suitable for those who share a room with someone else. 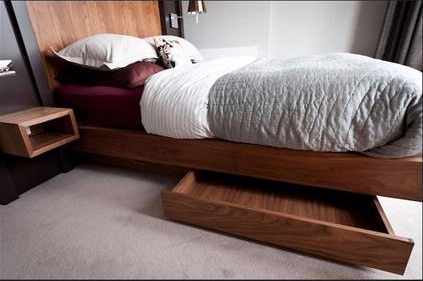 Second, you can elevate your bed for more storage space. Do not be afraid to create a “level stage” for your own bed. Although it requires a ladder to reach the bed, you can store clothes, knick-knacks, collectibles or toys in it. Third, make sure you regularly make a neat, clean up, and sort the items that no longer you needed. Make sure the items you want to keep neat and orderly.